Are you looking to sell a business in the UK? We’ll be with you every step of the way! Selling any business can be a daunting task, but even more so when you’ve worked hard to build your own. That’s why finding the right business transfer agent is so important; you need to trust that you are working with people who have your best interests at heart and that’s exactly what you’ll find at Bradleys Countrywide. 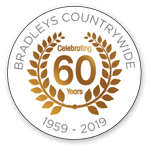 At Bradleys Countrywide, our clients’ interests are at the forefront of everything we do, and we’re pleased to have built up a reputation based on our passion for what we do, implicit trustworthiness and thousands of recommendations over the last 60 years. Selling your business can be a time of mixed emotions, but we’ll be with you every step of the way. Bradleys Countrywide is the leading business transfer agent in the South East of England and not only do we have the necessary expertise to correctly value your business, we also have the resources to professional market that business and obtain and obtain the be possibly price in the market. If you own a business or commercial property and are thinking about selling, simply click on the below link, complete the form and we will contact you in confidence.